NIDWALDEN, Switzerland — A special counsel's office in Switzerland says it has closed an investigation into a regional prosecutor's links with FIFA president Gianni Infantino. 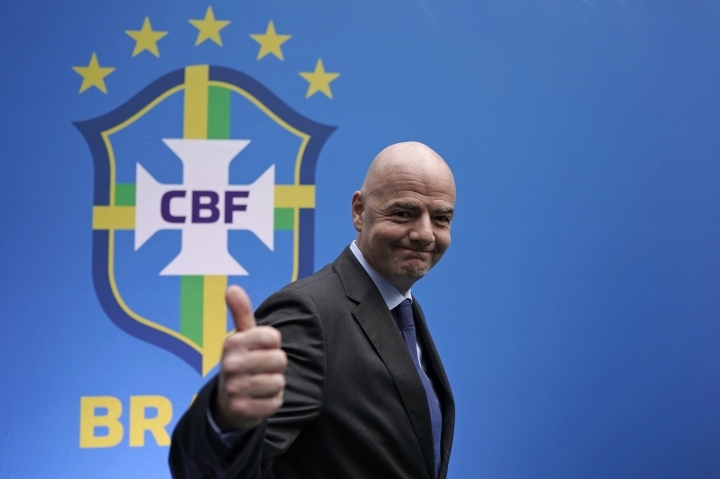 After reports in the "Football Leaks" series last November, a criminal proceeding for possible passive corruption was opened against Rinaldo Arnold, a childhood friend of Infantino. Arnold accepted invitations to be a FIFA guest at last year's World Cup in Russia, and at the body's annual congress in Mexico City in May 2016. The special counsel's office says it has dismissed suspicions Arnold accepted benefits in connection with his work.